Could you mistake your own reflection for a roadmap? 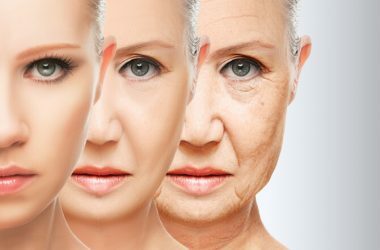 Do new wrinkles, sags and bags show up daily? Sure, none of us is getting any younger. But if your clock seems to be stuck on fast forward, chances are it’s not aging alone that’s taking such a toll on your skin. Experts say you could be accidentally adding years to your appearance with a few “innocent” habits. And guys, before you beat a hasty retreat, I’m talking about you too. Because let’s be honest, the face we present to the world matters. And despite what your buddies say, looks DO matter to the ladies. Now I get it if you think you’ve heard it all before. Because folks trying to make a quick buck will usually try to convince you, there are only two options to turn things around. Chemical peels that literally burn the skin off your face, leaving you looking like a lobster. Or dangerous slice and dice surgeries that could make folks start mistaking you for the Joker from Batman. Simply quit these six skin-harming habits today. And watch your skin start to bounce back within days. Trying to make do with an old prescription is one of the worst things you can do to your skin. Squinting causes crows’ feet to appear around your eyes. Which let’s face it, isn’t a good look on anyone’s face, man or woman. And the damage doesn’t end there. It can lead to deep creases in your forehead. And make you purse your lips causing fine lines to pop up around your pucker too. If you’re overdue for a new pair of glasses, make an appointment to see your eye doctor. And then say goodbye to that skin-destroying squint. When you’re thinking about your skin, sleep is probably far from the first thing that comes to mind. But they call it “beauty sleep” for a reason. Not getting enough rest doesn’t just leave unsightly bags under your eyes. Burning the midnight oil hits the fast-forward button on skin aging too. When you’re asleep, your body is busy repairing and rejuvenating your skin cells. But skip out on sleep, and the job is never quite completed. A study out of University Hospitals Case Medical Center found that folks who missed out on sleep showed more signs of premature aging, including fine lines, splotchy skin, and less elasticity. Aim for at least seven hours of quality shuteye a night. You know exercise keeps your heart and muscles young. But you may not realize it keeps your skin fit, too. Exercise gets your blood flowing, circulating nutrients to all of your skin cells. And the sweat you work up while working out has benefits too. It helps to detox your pores, purging them of the built-up pollution and contaminants that make your face look drab and dull. Plus a good work out sloughs off old, dry skin cells leaving room for fresh, younger ones to take their place. Make exercise a part of your own skin care routine to look years younger. Sugar literally AGEs you. When you eat too much of it, it attaches to proteins in your blood, forming advanced glycation end products, or AGEs for short. These AGEs break down the collagen that keeps your skin soft and supple. They slow new skin cell growth. And they trigger an inflammatory response that changes the look and feel of your skin. In other words, saying no to sugary sweets isn’t just good self care it’s good skin care too. Back in the day, women had two choices for cleaning their faces. You could use soap or cold cream. Leaving your skin feeling tight and dried out. Or greasy and broken out. Guys had even fewer options when it came it came to skin care. It was skin-drying soap or nothing. Not anymore, thank goodness. Both women and men have plenty of options for washing the more delicate skin on their faces. Today you can choose an all-natural cleanser that washes away dirt effectively but is still kind to your skin. A product we like is Be Natural Organics Gentle Foaming Facial Cleanser. It’s Environmental Working Group verified, so you know it’s trustworthy. Or you can make your own cleansers at home. Natural skin care experts often recommend witch hazel or apple cider vinegar for oily days, coconut oil for dry days, and a mixture of honey and lemon for combination skin. Keeping your skin washed and exfoliated can be healthy. But doing either too often is actually damaging to your complexion. Any cleanser, even a gentle one, can eventually strip your skin of its natural oils if used too often. And those same natural oils help keep your skin moisturized and plump, making you look younger.